This article presents a pedagogical design model for a university teaching-learning process that seeks to place the emphasis more squarely on learning opportunities than on the part to be played by teaching. The design places the student center stage - in a role where he or she is called on to play a creative role - in an attempt at motivating the student to the full. Within this framework we devise a teaching process centered on the undertaking of project work that is designed specifically for the students and with the aim of allowing them to develop their skills as learners. The article begins with a description of the theoretical framework that supports the approach adopted in the subjects imparted, and goes on to provide a detailed outline of the activities students undertake. Finally, the article discusses the strengths and weaknesses of the approach as revealed in our experiments with it. This article describes the pedagogical design that underlies the approach adopted in various subjects over recent years at the University of Barcelona. It has been our intention to shift the center of the university teaching-learning relationship away from its traditional focus on the teacher and his or her lecture, and to relocate it more firmly around the figure of the student, thereby ensuring that the latter can take on a more active role. It is not our intention to question or ignore the strengths of certain university teaching methodologies - often the most necessary in given contexts, nor is it to deny that our own proposal is not without its limitations, as we shall explain below. Our proposal is based on the need to give greater emphasis to the learning processes than to those of teaching, thereby placing the student center stage - in a role where he or she is called on to play a creative role - in an attempt at motivating the student to the full. Within this framework we devise a teaching process centered on the undertaking of project work that is designed specifically for the students and with the aim of allowing them to develop their skills. The article is organized into the following sections: a description of the theoretical framework that supports the approach adopted in individual subjects, a detailed explanation of the activities undertaken by the students and, finally, the article examines the strengths and weaknesses of the approach as revealed in our experiments with it. Perhaps by defining - albeit very rapidly - a number of concepts we will be able to outline our position as regards certain recent debates within the field of learning theories. In fact, the very notion of "student/learner-centered learning", which has enjoyed so much success and which has been seen as one of the central tenets in educational reforms (American Psychological Association, 1997), remains a complex construct and the outcome of various compromises and were we to take all fourteen of the guiding principles of this approach together it would be virtually impossible to be faithful to them all. Rather than highlight, therefore, a homogenous perspective, as that described by Bonk and Cunningham (1998) within a sociocultural or constructivist-social vision, we would prefer to focus on a commitment to the very conception of education: not so much for its novelty, which when all is said and done is perhaps not so innovative, but rather for its efforts to make a break with educational practices based solely on the perspective of the teacher. Indeed, "centering" the approach on the person that has to learn is what education should have always sought to achieve. The organization of teaching and learning activities that we describe here draws on various, and on what we consider complementary, approaches. One of these is what we might, in general terms, call "learning through experience" and which has its roots in the work of Dewey and the North American pragmatists (as Valsiner and van der Veer (2000) remind us, pragmatism, and in particular that propounded by Dewey, underlies the origins of the social conception of the mind), but also in Piagetian constructivism, and more recently in the works of authors such as Kolb and Schank who stress the idea of learning by doing. This long tradition - albeit one that is not always entirely coherent among the work of the authors cited above - gives pride of place to the idea that we learn thanks to a practical process, of physical but also cognitive manipulation, in which we are constantly comparing and contrasting what we do and say with the results that we expect to obtain and, thus, we proceed adjusting our behaviour and adapting our mental schemata. It is a relatively simple idea, and depending on how it is formulated almost ingenuous, but nevertheless one of great power as it takes as a reference the "natural" ways of learning, in other words, those that occur in non-intentionally instructive contexts and which have been shown to be effective over time and in many different cultures. This "experientialism", in its versions that are most closely linked to practice through practice, could be catalogued as simple, or if we prefer less theoretical, ways of learning, i.e. methods that are quite unlike those that are used in universities. But, lest we forget, many university teaching methods appear to be well-removed from practice (understood as activities of considerable complexity, similar to those that are found in real contexts) and are often accused of being "academic". The idea of learning through experience is, of course, widespread and can adopt a range of different focuses, but the majority or all stress the idea of the continuity between life experience and learning (Illeris, 2002), in addition to the marked emphasis they place on the activity and, in cases such as Schank (1995), on the construction of highly detailed scripts to be deployed in each situation. A second approach we draw on is that known as How People Learn (henceforth HPL), the title of a book in which leading psychologists examine the advances made in the field of learning in recent years (Bransford et al., 2000), and which has more recently been extended to include virtual environments (Bransford et al., 2004). In common with the general idea of student-centered learning, the theoretical frame of HPL is very broad and includes many debatable points, but it draws our attention to various tenets that might be thought indispensable for both analyzing and designing learner environments. These tenets refer to four key aspects: the learner, knowledge, evaluation and the community. The tenet that makes reference to the student is very similar to the philosophy of student-centered learning, insofar as it takes student needs and interests as the focus of the action (thereby guaranteeing motivation), transferring to the learner part of the control over the contents and the teaching process. But it also recognizes the previous knowledge that students bring with them into the educational situation, in other words, recognizing their value as persons that learn (and not only as "students" who follow the dictates of teachers). This tenet is directly related to that of knowledge. Bransford and his colleagues appear to identify the latter with a certain conception of the curriculum and of the more nuclear and integrated. knowledge at the heart of a discipline. The tenet centered on evaluation emphasizes having various opportunities to review the thinking and tasks of the students, giving adequate feedback and allowing the possibility of reviewing what is being done. Finally, centering attention on the community means providing a learning environment, both within and outside the classroom, in which it is possible to learn from one’s classmates while integrating the activities in a broader social or professional context. Clearly, the set of recommendations provided in the HPL approach, while by no means new, are pedagogically attractive, though it is something of a challenge in order to put them all into practice. Nevertheless, these tenets are aspects of learning that we should always seek to take into consideration when designing a learning environment. Yet, in our particular experience, as we shall see below, one of them has not been applied. We now wish to describe the characteristics of the university setting in which we have tried to apply some of the principles drawn from the theoretical framework. The setting for our work is well known given that university education usually varies little from one university to another. In our case, we work with a traditional, classroom-based university, in which (as in many others) some subjects have become hybrid courses through the applications of a virtual campus. Hybrid learning (Bersin, 2004; Graham, 2006) combines different training situations (virtual learning and classroom-based learning) with different training media (in terms of both technology and the type of activity engaged in), with the aim of creating a suitable learning environment. In our case, the virtual campus takes the form of a virtual classroom; that is, it contains a range of different contents related to each of the subjects and includes proposed activities (both of an individual and group nature) that allow the student to think and to determine their level of understanding of the contents, while at the same time showing the teacher what work is being done, and enabling students to raise questions and discuss key ideas. All this is made possible through synchronous and asynchronous communication tools in a virtual environment. The hybrid nature of the subjects is maintained through the combination of the virtual classroom with regular, face-to-face meetings with the students. The basic characteristic of these meetings rests in the way they are organized. The aim of the sessions is to support project-based learning, in other words, the students normally form groups – either on the basis of shared interests, or their previously established relations – and carry out an individual or group project. The project has one main characteristic: its practical nature. From the outset the students are told that they must be the creators and producers of digital materials (Rodríguez Illera, Escofet, Fuertes et al. 2005), which ensures they play an active role and develop a range of skills. To guarantee that the projects evolve satisfactorily, the teacher’s role is to provide constant supervision in tutorial form to both individuals and groups. This supervision combines explanations of the tools to be used for creating digital material with a specific monitoring of the projects to ensure they adhere to their goals as the semester progresses. The digital materials designed by the students fall into three categories: electronic books, digital stories and webquest. The three have in common the need on the part of the students to be active in the production of the materials, and the fact that in order to be able to produce them they must use various tools drawn from the information and communication technologies. Finally, the projects must be based on an initial educational design and have, therefore, an educational objective. The design of electronic books involves developing electronic texts using a tool known as Lektor (Rodríguez Illera, 2002). Lektor is a system for creating, reading and producing activities with electronic books. Electronic bookscombine the possibilities provided by traditional reading with the advantages of digital support, so that the texts created can contain a range of multimedia annotations (text, image, video and audio) and be hypertexts, linking together various parts of the text or establishing links with other internet texts. Electronic bookscan also be annotated internally, which means that a range of different activities of reading comprehension - including open questions, multiple choice questions, summary writing activities, etc., can be added to the initial text. In our case, students need to propose an electronic book for educational purposes. Thus, they have to agree on a subject and a title for their electronic book, its intended audience and educational context. This means they have to consider the style in which it will be written, the type of activities they wish to include, the organization of the book, and other details that need to be borne in mind when considering their particular audience and level of education. Once the planning stage has been completed, and under the tutorial supervision of the teacher, the students begin to produce their electronic book, using the media and writing the comprehension activities until the project is complete. 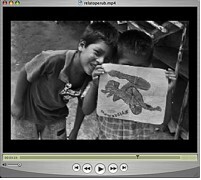 Digital stories comprise narratives created by the students based on personal stories scripted and constructed from photographs, digital documents, fragments of video and sound tracks. The idea is based on the potential of narrative discourse as a means of communication and learning, combined with the expressive potential of the technologies available to any young person such as scanners and digital cameras. In our case, the students begin by setting themselves an educational objective to which the story should respond. Once the objective has been set, a script must be written, and then the students select the necessary media and integrate them within the digital story. The final task comprises implementing the images in just one electronic audio support, so as to be able to show their project. The third type of project students might undertake is a webquest. A webquest is a teaching activity that involves a guided navigation through the internet to obtain a specific educational goal through a search procedure. Developed by Bernie Dodge in 1995, today there is a large community of teachers designing, creating and developing educational activities with webquest. In the words of its creator, webquest are designed so that what matters is learning how to use the information rather than simply looking for it. Additionally, they seek to develop student’s understanding by ensuring that they think analytically, summarize their findings and evaluate the information they obtain. 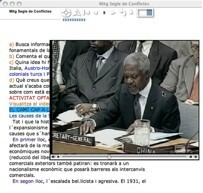 To meet these objectives, the webquest are structured in a given way. Basic elements include a motivating introduction to the subject that is to be dealt with, an explanation of the specific task that is to be undertaken, a description of the procedures to be adopted in achieving the goal and a final section that provides a summary of the process followed and reflects on the results obtained. The final step in the learning process that the various groups have been engaged in involves the evaluation of their projects. Here, the evaluation often begins with the presentation of the project to the other students during the final sessions of each semester. In this way, the authors of each project can explain and discuss the decisions that were taken in producing their work. Subsequently, the teacher undertakes an evaluation based on the overall development of the project from the initial goals that were set, the processes it went through in the practical sessions and the finished product. We wish to emphasize the high quality, both technically and pedagogically, of most of the projects that have been undertaken over the last few years. While it is early to draw definitive conclusions - in particular, if we consider all the subjects, activities and forms of assessment involved, the work undertaken over the last few years has produced clearly positive results. Putting students in a position where they have to produce knowledge, demonstrate the skills they have learnt, and work, in short, on an integrated project (in which the technologies and contents are closely intertwined) is a pedagogical conception that we consider interesting for the methodological change that it represents, and one that is relatively unusual in the social sciences and humanities. It is worth pointing out what might be considered limitations, at least potentially so, both in terms of the theoretical framework of the pedagogical design and its implementation in the university setting. Not only have we been unable to adopt some of the tenets of the HPL approach (such as that of the community), we have also found it almost impossible to incorporate the student-centered approach, as defined by the authors cited. In response to the fact that the activities have no link to a professional or practical community that authorizes them or integrates them as part of more complex interests than the purely educational, we believe we are dealing with what Barab and Duffy (2000) define as “practice fields”, i.e., with activities, designed in the university classroom, that combine a clearly practical or experiential approach, with teaching methodologies based on problems, cases, projects or simulations. These authors criticize approaches based on fields of practice - although they admit their worth in comparison with other methodologies - owing to the fact that they are of only institutional or scholastic value for the student, that is, a simulation of real life but not life itself – which can only be achieved by incorporating these methodologies in communities of practice, i.e., where the learning experience is connected not only with the theoretical interest of the problem but with a real interest in the form of a contribution to the community and not solely as a “practice” that is undertaken in another context. This is a limitation that can only be considered as such in the context of the discussion of the situationist approaches to learning (Lave, 1988; CTGV, 1997) and of their subsequent evolution (Lave and Wenger, 1991) towards a conception of learning not just as the acquisition of knowledge, or even as the construction of this knowledge, but rather as participation in a community. Regardless of the great interest generated in the communities of practice approach (and also of the major difficulties involved in implementing it in a university setting such as the one briefly described here), it appears to us that this juxtaposition with the “practice fields” is not a particularly productive one. This vision tends to separate it from the rest, basing it on a highly differentiated metaphor, which it undoubtedly is, but at the same time it tends to supersede all other methodologies, placing them at any earlier moment in time – which to our way of thinking is not very exact and which requires, in addition, a more complex debate that has yet to be entered into. American Psychological Association (1997). Learner-centered psychological principles: A Framework for School Redesign and Reform. In: http://www.apa.org/ed/cpse/LCPP.pdf [ august, 2006]. Barab, S. y Duffy, T.M. (2000). From Practice Fields to Communities of Practice, en D. H. Jonassen y S.M. Land (eds, 2000): Theoretical Foundations of Learning Environments. Mahwah, Lawrence Erlbaum Associates, 25-55. Bersin, J. (2004). The Blended Learning Book. Best Practices, Proven Methodologies and Lessons Learned. San Francisco: Pfeiffer. Bonk, C. J. y Cunningham, D.J. (1998). Searching for Learner-Centered, Constructivist and Sociocultural Componentes of Collaborative Educational Learning Tools, en C.J. Bonk y K. King (eds, 1998): Electronic Collaborators. Learner-Centered Technologies for Literacy, Apprenticeship, and Discourse. Mahwah, Lawrence Erlbaum Associates, pp. 25-50. Bransford, J., Brown, A.L. y Cocking, R.R. (2000): How People Learn: Brain, Mind, Experience and School. Washington: National Academy Press. Bransford, J., Vye, N., Bateman, H., Brophy, S. y Roselli, R. J. (2004). Vanderblit's AMIGO3 Project: Knowledge of How People Learn Enters Cyberspace, en T. M. Duffy y J. R. Kirkley (eds): Learner-Centered Theory and Practice in Distance Education. Mahwah (NJ): Lawrence Erlbaum Associates, 2004, 209-234. Cognition and Technology Group at Vanderblit (1997). The Jasper Project: Lessons in Curriculum, Instruction, Assessment, and Professional Development. Mahwah: Lawrence Erlbaum Associates. Graham, Ch. R. (2006). Blended Learning Systems: Definition, Current Trends, and Future Trends, en C. J. Bonk y Ch. R. Graham (eds): The Handbook of Blended Learning. San Francisco: Pfeiffer, 2006, 3-21. Illeris, K. (2002). The Three Dimensions of Learning. Malabar (Florida): Krieger Publishong Company. Lave, J. (1988). La cognición en la práctica. Barcelona: Paidós. Lave, J. y Wenger, E. (1991). Situated learning: Legitimate peripheral participation. New York: Cambridge University Press. Rodríguez Illera, J.L., Escofet, A., Fuertes, M., López, O., Martín, V. y Rubio, M.J. (2005). 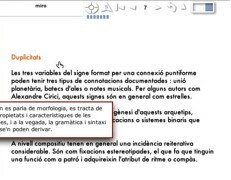 El estudiante como productor de contenidos digitales y su inserción en portafolios electrónicos. 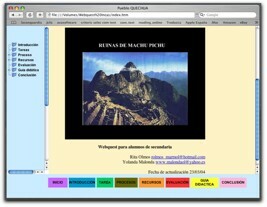 En Multimedia Educativo V. Barcelona: ICE de la Universidad de Barcelona. Schank, R. (1995). What we learn when we learn by doing. Technical Report 60. Institute for Learning Sciences, Northwestern University. Valsiner, J. y van der Veer, R. (2000). The Social Mind. Construction of the Idea. New York: Cambridge University Press.